We can supply the unlock code for your LG phone. No software or downloads are required to unlock your LG phone. All we need is the IMEI Number of your LG phone to give you your unlock code. 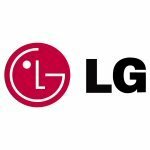 The LG unlocking process is completely safe. Once you receive your code all you have to do is follow the input instructions on the email and unlock your LG phone. After you have unlocked your LG phone, it is permanently unlocked even after upgrading the firmware in the future! Once you unlock your LG phone, you can change to any GSM Carrier Network Sim Card.